Asymmetric ultra high performance tyre designed for Europe's top car marques. The Y speed rated KU39's key features are its enhanced performance, braking in wet conditions and controlled ride and refinement. High grip tread compound ensures maximum traction and braking performance. Specially designed casing provides impressive high speed stability. Perfectly balanced for performance saloons. 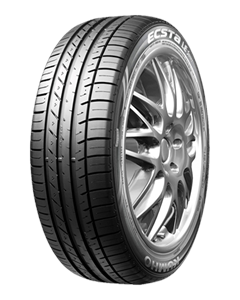 The ECSTA KU39 offers exceptional balance between outright performance, grip, comfort and refinement. With its excellent traction and low noise, it’s the ideal choice for drivers of sporty saloons. Secure handling and stability at high speed. Reduced tread pattern noise for a quieter ride. Optimum wet performance, while providing excellent traction in dry road condition. The guys are great. Friendly and efficient. They put the customers interests first, even if it makes them less money. They can get most tyres same day if ordered early enough. Will also check for slow punctures and give advice on vehicle maintenance. I always use Tyreshops Hedge End and will continue to use. Quick and friendly better than F1 and Halfords for service. Great service again. Won't do anything without consulting first, will always give you the cheapest option.